Corporation Basics: What Corporate Records Should Be Kept? 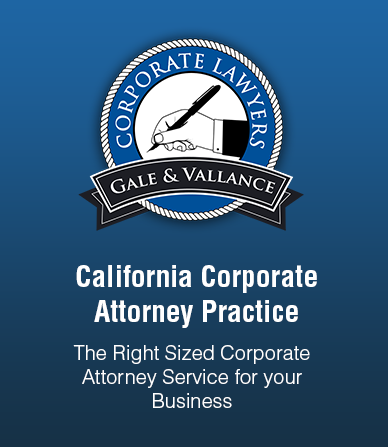 Big companies and large businesses that have incorporated generally contract corporate attorneys who are then responsible for keeping their records up to date. Small businesses that have incorporated, on the other hand, may find that it is quite costly to hire a corporate lawyer, which may be the reason some of them do not find keeping corporate records to be of much importance. The company’s minute book contains many things, including the records of all formal board and stockholder actions. These have to be constantly updated because in the future, if mistakes come up, you can check decisions made in the past and figure out where things went wrong. It should also contain a detailed document on share ownerships in the corporation. It is safe to say that these records need to be kept, because they contain documents that will protect your small business. Articles of incorporation refer to the documents submitted to the government agency when forming a corporation. These documents are also known as the Certificate of Incorporation or the Corporate Charter. These refer to the rules that were set as a basis upon which the corporation will be run. The rules include procedures on how the company will be managed, how meetings will be called and held, the rights of stockholders, etc. There are a group of people assigned as the Board of Directors in a corporation and one of their responsibilities is to pass resolutions regularly. Board resolutions may be to define the classes of corporation stocks, for the approval of certain proposals for the company, and so on. Each shareholder meeting should have minutes recorded. Minutes, also known as protocols, are notes written to describe the things surrounding the meeting. Minutes should include the list of attendees, the issues raised by the participants and the responses or decisions made regarding the issues. Corporate records should have copies of all the communications to the stockholders. Most states require companies to keep these copies for at least 3 years but even so, you shouldn’t throw them away, but rather keep them permanently because these may guard the company against future stockholder lawsuits. The shareholders of a company have the right to inspect the record of finances, and that is why your balance sheets need to always be updates. Tax returns refer to the reports that contain detailed information of the corporation’s income tax as well as other taxes. These reports are submitted to the Internal Revenue Service (IRS) but your company should always have its own copy. Some corporate attorneys advise companies to keep their corporate records up to 3 to 5 years, but it is wise not to throw away records older than 5 years. You may stock them in some area but they should never totally be thrown away. These records need to be kept permanently somewhere so that, in case a shareholder dispute arises in the future, documents can be brought to iron out issues. These records need to be kept not just for the sake of having documents, but to protect you and the entire company.